Hello and greetings to one and all as we start the year of 2016! The first topic we picked up for this year will be a talking point through the months to follow. This is my belief and all the signals we’ve picked up in 2014 support it. On this week’s Digital India podcast episode for FIR Podcast Network, Suresh and I discuss how the startup world is seeing many women rise up to their potential as innovative entrepreneurs, the challenges that face Indian women when it comes to following ambitious career paths, the changes in the investor space to support women run businesses, and the avenues available for women to train on entrepreneurship, be mentored and raise funds. Here is the background research for the discussion on women entrepreneurs in India. and support groups and forums for women focused companies. In fact, NASSCOM had many women founder-specific sessions in the last year. “In 2015, several women-run start-ups such as LimeRoad, Kaaryah, Zivame, CashKaro, media tech companies like YourStory and POPxo and women-only job portal Sheroes have attracted investor attention and are scaling business significantly. “Now, very encouragingly, women are not considering themselves to be any different from men as far entrepreneurship is considered. This is a huge change. There are more and more women stepping out,” said Nidhi Agarwal, founder of Kaaryah, a fashion portal for women’s wear that raised money from Tata Sons Chairman Emeritus Ratan Tata in June. Indian startups raised over $5 billion (Rs 32,500 crore) in 2015 versus less than half in 2014, per a report on Startups by NASSCOM in October 2015. There was a 50 per cent increase in women entrepreneurs compared to last year and 9 percent of women founders were less than 35 years old. Minnat Lalpuria Rao, setting up 7Vachan, a wedding-solutions provider in Mumbai in 2013. Rao organized 150 weddings in 2013, based almost solely on word-of mouth and in 2014 she thinks she can piece together 1,000. Richa Kar, founded Zivame, online lingerie store, in 2011 when she was 33 years old. Priya Maheshwari, started properji.com, an online real estate portal in 2013 with an intial investment of 10L. Liya Verghese and HarshaThachery, founders of MasalaBox, a marketplace that connects home chefs with customers. 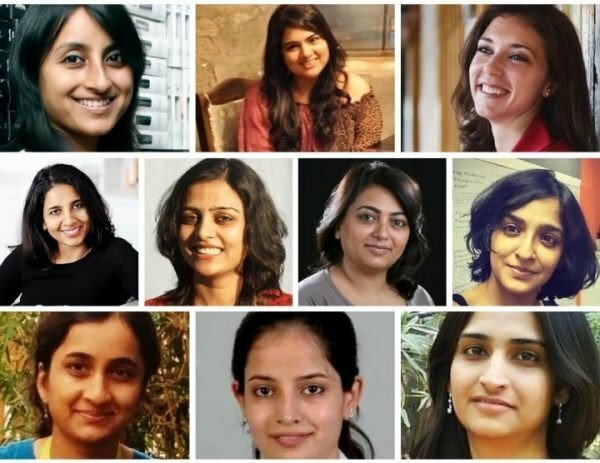 LimeRoad, Kaaryah, Zivame, CashKaro, media tech companies like YourStory and POPxo and women-only job portal Sheroes– all founded and run by women. Get a more comprehensive list here: The definitive list of women entrepreneurs in India. In some parts of the country entrepreneurial women are making waves. For example, in the arid regions of Latur and Osmanabad in Maharashtra, women are leading the charge at organizations such as Swayam Shikshan Prayog, which is building networks of rural businesses. Here, women are handpicked to sell products such as gas stoves and the best ones given charge of a region to manage. The rise of women entrepreneurs in 2015 is an encouraging trend. But there’s a lot of ground to cover yet. Women still constitute about 10% of the total entrepreneurs in India. The 2015 Gender Gedi Female Entrepreneurship Index ranks India a dismal 70 out of the 77 countries included with a score of 25.3 percent . This index measures a country’s potential to encourage and fuel the development and growth of female entrepreneurship. India also received the lowest score in terms of Labour Force Parity on an institutional level. According to the Economic Times, as of 2012, women students at IITs had doubled to 11 percent in five years and their numbers at two B-schools – ISB-Hyderabad (29 percent) and IIM-Kozhikode (36 percent) – were inching closer to Harvard Business School (39 percent). Other IIMs are lagging though. IIM-Calcutta has only seven percent women in the class of 2013 and IIM-Ahmadabad only 10.9 percent. Ankita Vashishta of SAHA, India’s first women’s venture capital fund says investors ask sensitive questions to women that areo therwise not asked – future of business of woman gets married or has children, etc. Women have traditionally lesser access to capital to fund their businesses- only 26% of women in India have bank accounts compared with 100% in developed markets. There is a huge lack of women-centric avenues in smaller cities and towns. development programs for women entrepreneurs – NSCREL (IIMB), Wadwani Foundation, etc. If you have an entrepreneurial idea in your mind, the environment in 2016 is conducive to your growth. Don’t miss the opportunity. Dive in! Monica is a digital marketer, blogger and technical writer. She’s helped small businesses with content strategy and development since 6+ years and is now extending the value with online marketing. Her goal is to introduce more businesses to this exciting and profitable marketing medium. She is a regular blogger for WMA. Connect with her on Linkedin or Twitter for digital marketing assistance or to say hello!